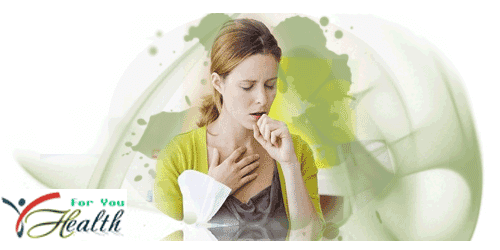 Home Health Why coughing Must be Treated Differently? Why coughing Must be Treated Differently? Coughing occurs when your lungs have an infection that produces phlegm more than normal levels. As a result there is phlegm in the throat that comes out when you cough. Coughing is the body's natural way to cleanse the respiratory tract of phlegm in order to be able to breathe more easily. Productive cough is generally caused by colds, pneumonia and sinusitis, but this condition can also be symptoms of chronic bronchitis, heart failure, and asthma. The longer the cough persists, then the higher the risk of getting a disease is more serious. This condition is more risk in smokers and people who have low immunity. Cough is a relatively common condition that is rarely seen by a physician. However there are times when you need to check yourself to prevent risks. Then when it is appropriate to go to the doctor? If you productive cough does not go away or even worse, until more than a week. If phlegm when coughing out solid green or pink frothy. If there is blood in your phlegm. If you are a productive cough accompanied by symptoms such as fever high, chest pain, shortness of breath, weight loss, rash, wheezing, ear pain, headache that kept arising. If you are a smoker and you cough worse at night. If you suddenly feel the symptoms of headache, muscle aches, fatigue. No need for antibiotics to deal with productive cough or a disease caused by a virus. For common infections, cough medicine alone can relieve cough with phlegm, but do not give this medicine to children under the age of two years. Here are some characteristics of the medicine for cough with phlegm that need to be observed. Cough medicine is usually beneficial to thin the mucus or phlegm is called an expectorant that more easily expelled during coughing. Therefore, it is necessary to remove the cough phlegm, then the drug is not recommended to relieve cough. Guaiphenesin or Bromhexine is the main ingredient of cough with phlegm that is also safe for pregnant women. However keep in mind that this material can not cure the underlying condition is more serious. If the cough is accompanied by fever, consumption of ibuprofen or paracetamol can also help relieve pain in the throat. Be careful taking any medications that contain antihistamines that are useful to relieve nasal congestion, because this material can make it more difficult to remove phlegm from the lungs. Various kinds of cough medicine is widely available in the market. However, there are certain conditions that must be wary as follows. If you suffer from diabetes , high blood pressure, heart disease, thyroid disorders, respiratory disorders such as asthma. If coughing suffered toddlers under two years. If you are breastfeeding or pregnant so requires cough that does not harm the baby. If you are allergic to any medicines, especially ingredients in cough medicines. In essence, it is important to consume drugs with labels and proper designation to deal with productive cough. It would be better if drugs that want to be consumed first consulted the doctor. However, before taking any medication, there are some simple ways that can be done to relieve cough with phlegm. Rinse with plain water or salt water at least 60 seconds, three times a day. Of breaks and consume enough mineral water. Keep your body temperature and keep warm. Bath with warm water may help thin mucus. Avoid contact with other people with the flu and cough. Children aged six years or before the six years are advised to consume natural ingredients to relieve coughs, such as lemon and honey . Honey is naturally going to clear the throat and relieve the irritation causes coughing. With notes, honey can only be consumed by children over the age of one year. As the consumption of drugs in general, cough medicine should also not be consumed in the long term. Generally, the cough may subside after 2-3 weeks, so you should see a doctor if after this time the cough still not abate. In addition, during cough, cover your mouth with a mask so as not to infect cough people who are around you.